Many of its disturbing symptoms can appear and then vanish as if they were never there, making the diagnosis of dementia with Lewy Bodies very difficult. This form of dementia has unique, life-threatening risks and requires very careful treatments and medications. However, the information and techniques you need to know most is not overly complex, and is simply presented here, to be easily understood by anyone. With knowledge gained from this site, anyone has the potential to make a huge difference in the life of a person with LBD. You can also make your own life much less tumultuous. The newly developed information on this website constantly monitors research, developments and innovations to provide the most up-to-date information. Everything on the website is written by, and from, the perspective of a family care partner. It is updated regularly and is constantly growing and evolving, and the curated Facebook feed is very actively maintained. An ever-greater range of Lewy-specific content is being rolled out with a focus on solutions, tips, techniques and precautions. Although much of the information is appropriate to all forms of dementia, the information provided is specifically and carefully developed to aid those caring for, and those diagnosed with, Dementia with Lewy Bodies and Parkinson’s Disease Dementia. This will be the best, most trusted online resource in Canada for Dementia with Lewy Bodies, with unmatched benefit for people worldwide. Get a broad perspective for those newly diagnosed and get articles on specific, individual topics. Learn where to get help and support and carefully curated collection of online Lewy Body Dementia resources with descriptions. The most popular article to date discusses perspectives on the highly variable Stages and Phases of Lewy Body Dementia. Another popular one, especially for anyone new to the diagnosis, lists the Top 10 Priorities following a Diagnosis of Lewy Body Dementia. Listen to audio as well: the last podcast was on Ambiguous Loss, which we all experience as a loved one is cognitively absent, but physically still here. Dental health is critical, so one recent article gives tips and techniques to brush teeth at every stage and avoid countless problems and another gives tips on how to choose a dentist and what to do to make the most of dentist appointments. Recently, I have dedicated much more time to social media and curating rather than new article publishing. That means the new Facebook page is very active, with new content summarized very regularly. 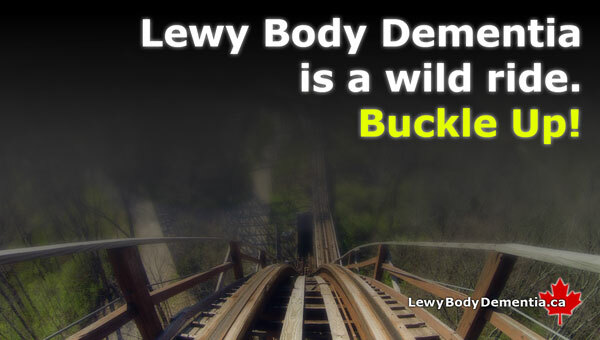 It’s all Lewy-related, and covers everything this website does — but unlike any other Facebook publisher I know of, I personally read every single article that goes up, and put my own concise summary at the top of the post. This way you’ll know whether it’s of interest to you, before you click on it. You do not need to have a FaceBook account to read the material, and look at the articles. You don’t have to use Facebook to see the posts, they’re public and anyone can see them. If you would like periodic — and useful, but not overwhelming info on Lewy — please like the page Facebook.com/Lewy.ca to keep stay informed. You can also view the most recent posts right here on this website. Topics and editorial requests are always welcome: contact me here.